Power tool and MDF respirator suitable for working in normal conditions. 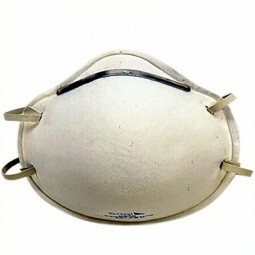 Protects lungs against fine toxic particles. Conforms to EN 149 2001 FFP2.